3 Mississippistaphas 3, Jane and Amanda Threlfall, Hedgehog Pie, The Deighton Family, De Danann and more. This show was 1st in the global folk chart, 1st in the global acoustic chart and 13th in the global radioshow chart. 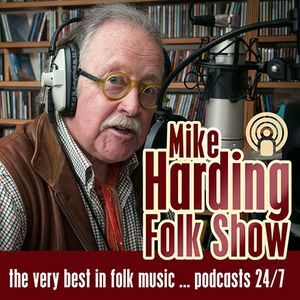 www.mikehardingfolkshow.com will take you into the world of folk – links to artists you hear on the show / folk clubs & session near you / other folk radio sites / folk record labels / folk festivals and much more. Oh and there is a "Donate" button where you can fling lolly at the show should you wish to help keep it afloat. Thanks for Percy French story. My friend Jim is a great fan & interpretor of Percy & his works. Brendan O&apos;Dowda was my friends influencer methinks.